I wonder if the jackass lawyer at @FerrariUSA who sent us a “cease and desist” letter over the purrari is un-butthurt now that I unwrapped. Score one for Nissan! Maybe this will teach Ferrari’s legal department to lighten up a bit? …Nahhh. 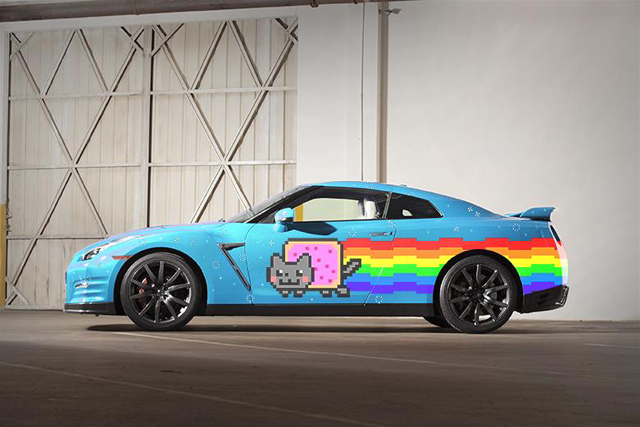 UPDATE: It looks like this is actually just a playful photoshop done by Nissan which is kind of a bummer. I think they should totally print up a wrap and make it official! ← Gaming Hype: Tons Of Codemasters F1 2014 Gameplay Video!